The Egyptian army’s July coup was met with widespread confusion on the left. 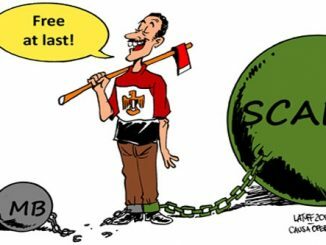 Within Egypt and internationally some socialists actually supported the coup, others were explicitly neutral in the struggle between the Muslim Brotherhood government and the army. The article by John Riddell that appears below considers these issues from the point of view of the experience of the international communist movement from 1917 to the 1930s, drawing out why these positions are dangerously wrong. The unfolding counter-revolution in Egypt has been an object lesson in the correctness of Lenin’s insistence on the need to analyse each situation from the point of view of the interrelation of all classes and social layers if its dynamics are to be understood and the correct class lines identified. 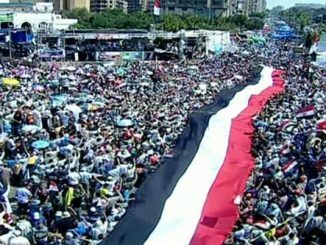 Since the beginning of this year Socialist Action has warned that the military and Mubarakite forces in Egypt were preparing the conditions for a counter-revolutionary coup. This analysis has been proven correct in the bloody unfolding of events in Egypt. 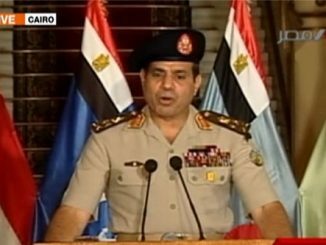 Since abducting former President Mohamed Morsi and suspending the constitution on July 3rd, Egypt’s generals have re-established their political rule. We publish below the comments of Jean-Luc Melenchon, leader of the French Parti de Gauche, on the coup in Egypt. The original text can be found here. Socialist Action strongly agrees with his judgement that this was a coup, that it was a rightist coup and that those forces that have welcomed the coup – or failed to recognise it as a coup – are profoundly wrong and store up grave errors of approach for the future. 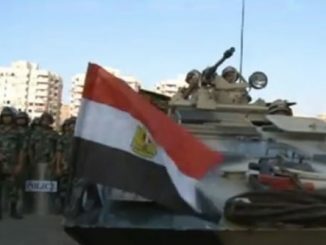 Yesterday Egypt’s military, with the full backing of imperialism, carried out a coup d’état. Former President Mohamed Morsi was deposed and taken into military custody along with his key officials, with arrest warrants issued for hundreds of Muslim Brotherhood leaders. 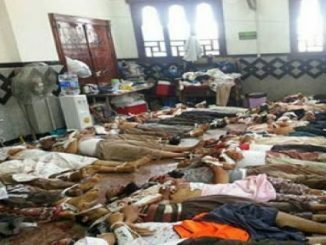 With Egypt intermittently rocked by weeks of violence the conditions necessary for a successful military coup are advancing. 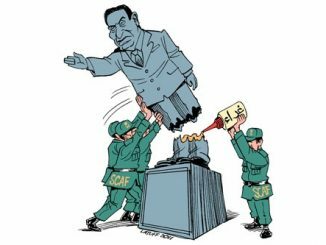 Imperialism and its allies are exploiting mounting social instability to raise the prospect of removing President Mohamed Morsi with the military returning to power.